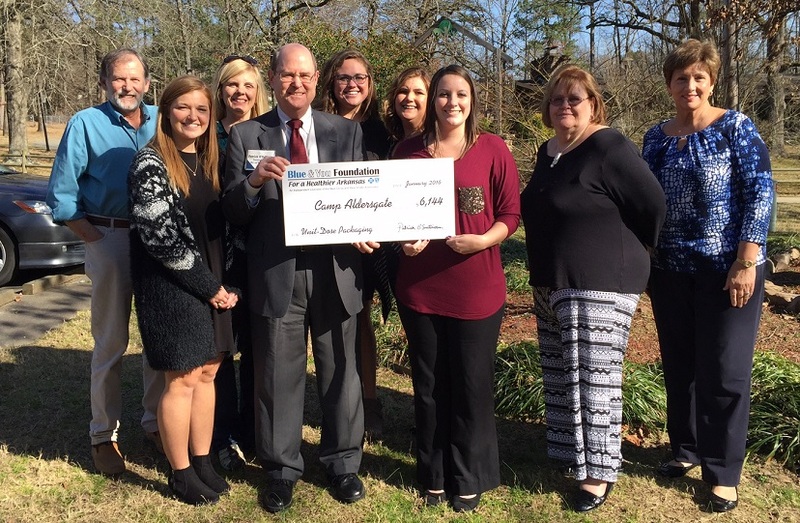 LITTLE ROCK – Camp Aldersgate, Inc. has been awarded a $6,144 grant from the Blue & You Foundation. The grant will be used to provide a more efficient, secure method of medication and distribution to Camp’s participants by using envelope medication packages similar to that of Arkansas Children’s Hospital and by hiring a part-time pharmacist to assist with the medication packaging and distribution during Camp’s Weekend and Summer Camps. The Blue & You Foundation awarded a total of $2,942,858 in grants to 40 health improvement programs in Arkansas. From walking trails, to food pantries to training first responders, the Blue & You Foundation for a Healthier Arkansas touches the lives of many Arkansans. “Our grants this year went to programs across the state that address such issues as nutrition and exercise, dental health, and medical professional education,” said Patrick O’Sullivan, executive director of the Blue & You Foundation. In its 14 years of operation, the Blue & You Foundation has awarded more than $24 million to 766 health improvement programs in Arkansas. The Blue & You Foundation received 210 grant applications requesting $16 million in support. The 2016 grant selections were made by Blue & You Foundation board members: Susan Brittain, Malvern; Robert V. Brothers, Bentonville; Robert D. Cabe, chairman of the board, Little Rock; Marla Johnson, Little Rock; Mahlon Maris, M.D., Harrison; J. Thomas May, Pine Bluff; and Sherman Tate, Little Rock.